NEW YORK (Reuters) - Glencore Plc faces at least two lawsuits by U.S. shareholders accusing the big Anglo-Swiss mining company of having made false and misleading disclosures before it received a subpoena in a corruption probe, and its stock tumbled. The lawsuits were filed on Monday with the U.S. District Court in Newark, New Jersey, and on Wednesday after market hours with the U.S. District Court in Manhattan. They accused Glencore of concealing how its conduct would subject it to heightened regulatory scrutiny into its compliance with money laundering and bribery laws, including the U.S. Foreign Corrupt Practices Act. Glencore did not immediately respond after market hours on Wednesday to requests for comment. Chief Executive Ivan Glasenberg is a defendant in both lawsuits, and Chief Financial officer Steven Kalmin is a defendant in the New Jersey lawsuit. Glencore's U.S.-listed shares fell 9 percent on July 3 after the company disclosed having a day earlier received a Department of Justice subpoena concerning its operations in the Democratic Republic of Congo, Nigeria and Venezuela. On Wednesday, Glencore said it would cooperate with the Justice Department and had set up a board committee, including chairman and former BP Plc Chief Executive Tony Hayward, to oversee its response. Some analysts have said the subpoena might have resulted from Glencore's settling of a mining dispute in Congo with Israeli billionaire Dan Gertler, under U.S. sanctions since last year, by agreeing to pay royalties in euros. 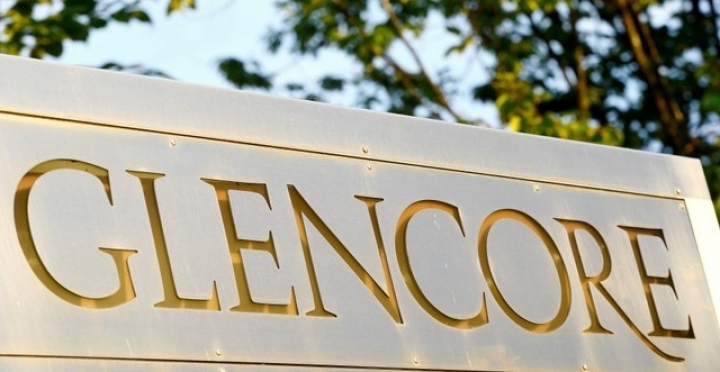 Analysts have said Congo accounts for about 25 percent of Glencore's net present value. Glencore mines cobalt, a key ingredient in batteries for electric vehicles, in the central African country. Both lawsuits seek unspecified damages for shareholders, who hope to pursue their claims as groups in class actions. It is common for shareholders to file U.S. lawsuits accusing companies of misleading them about their businesses and saying that their stock prices declined once the truth came out. The cases are Church v Glencore Plc et al, U.S. District Court, District of New Jersey, No. 18-11477; and Robison v Glencore Plc et al, U.S. District Court, Southern District of New York, No. 18-06286.